On Sunday morning, a bunch of smelly hippies and modern-day neo-druids will be dancing and drumming around Stonehenge while the sun rises at a little before quarter to five in the morning. Stonehenge, the mysterious stone circle in the English countryside is usually surrounded by ropes to keep the hordes of shutter-bug Japanese and loud Italian bus tourists from approaching the stones. 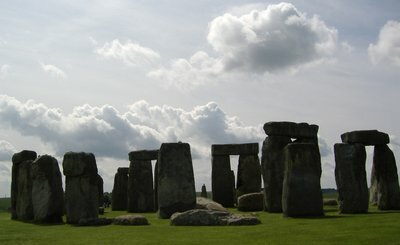 On the summer solstice, as well as the equinoxes, English Heritage allows visitors to approach and touch the stones. The summer solstice is one of the most popular times to visit the monument, as the stones are aligned in such a way as the sun rises and sets between pairs of the massive stones. The hippies will have to get up very early to see the sunrise, and will have a spend a long, long day at the stones in the middle of the countryside if they want to see the sunset. Sunday is the day with the most daylight this year, and it is a long day here in the United Kingdom. As with many childhood memories, it wasn’t entirely accurate. By 10 o’clock at night the sun would have set close to an hour earlier, even on the longest day of the year. 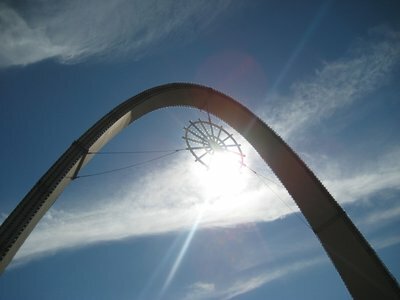 That day, the summer solstice, falls on June 21 this year, which is this Sunday. As the days have gotten longer and longer over the past month, I have been reminded how much longer the days are here in the UK. I will be lying in bed when the sun rises on Sunday morning at 4:43 in the morning while the hippies are drumming. I’ll go about my day, doing whatever I choose to do on my Sunday off. Most likely I will have already be home and be watching TV by the time the sun dips below the horizon at 9:21 in the evening. 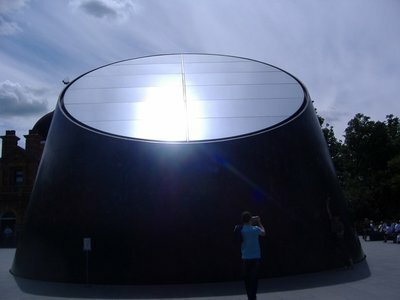 The solstice in London will see a total of 16 hours, 38 minutes and 23 seconds of daylight. Toronto will see the sunset less than 20 minutes earlier (adjusted, of course, for time zones) at 9:03 in the evening. Sunrise in Toronto, though, is much later than London at 5:36 in the morning, giving my old home 15 hours, 26 minutes and 45 seconds of daylight. What many people fail to realise, and I will admit to being one of them before moving over here, is how much farther north Europe is than North America. New York City is at 40 degrees 45 minutes north. Toronto is a little further north at 43 degrees, 38 minutes north. The centre of Calgary, Alberta, Canada is 51 degrees, 03 minutes north. The centre of London, near Westminster where Big Ben is, is further north than all of those at 51 degrees, 30 minutes north. Rome is further north than New York City, which shares a similar latitude to places like Naples, Italy; Madrid, Spain and Isola Asinara on the island of Sardinia. I was at a similar latitude to Toronto when I was down in Nice, Monaco and San Remo, Italy recently, all which are around 43 degrees, 40 minutes north. Obviously Nice has much milder winters than Toronto, and New York City does not quite have as mild a winter as Naples. New York and Toronto, conversely, have more humid, hot summers than their European counterparts. The most widely accepted explanation of these differences is due to the moderating effect the gulf stream has on the European weather, though like most attempts to explain the climate of this strange rock floating through space, there is disagreement on with a number of competing theories. The places that Europe really considers north are places like Oslo and Stockholm, both of which are almost at 60 degrees north. Oslo will be a really bright place this Sunday, when the sun rises at 3:54 in the morning and doesn’t set again until 10:44, giving 18 hours, 50 minutes and 35 seconds of daylight. Now that’s a long day! Hmm, I didn't realise London was further north than Toronto. Now you mention it, that is pretty interesting that the weather is still relatively mild in those parts compared to North America.